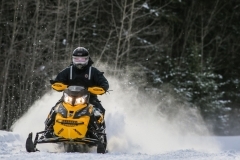 Follow this map to extend your snowmobile season right through March and maybe into April. 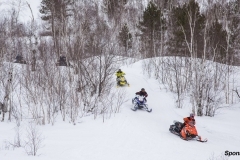 North Bay makes a great starting point for a late-season ride in Northeastern Ontario. As for Sudbury, the Moonlight Inn makes for an ideal staging area, as it has direct trail access right outside your door. 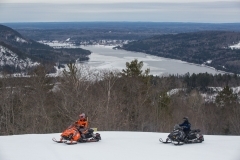 Three memorable trail rides are available from Sudbury. 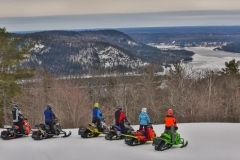 The Chiniguchi Wolf Loop takes you through the Wolf Lake Forest Reserve, old growth forest and the highest point in Ontario at 693 meters (2,273 feet). 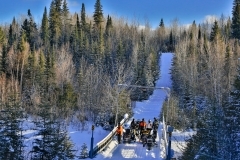 The Cartier Moose Loop sends you through the Laurentian Highlands where wildlife sightings are abundant. 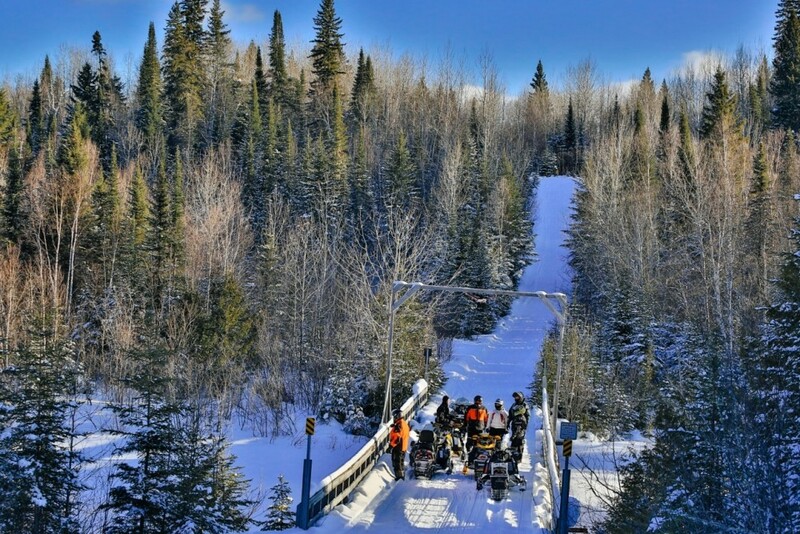 Finally, the Rainbow Elk Loop takes over the impressive French River Bridge though through Killarney Provincial Park and along the La Cloche Mountain range. For a post-ride meal and a nightcap, you don’t want to miss the M.I.C. (Made in Canada) Eatery and Whisky Pub. 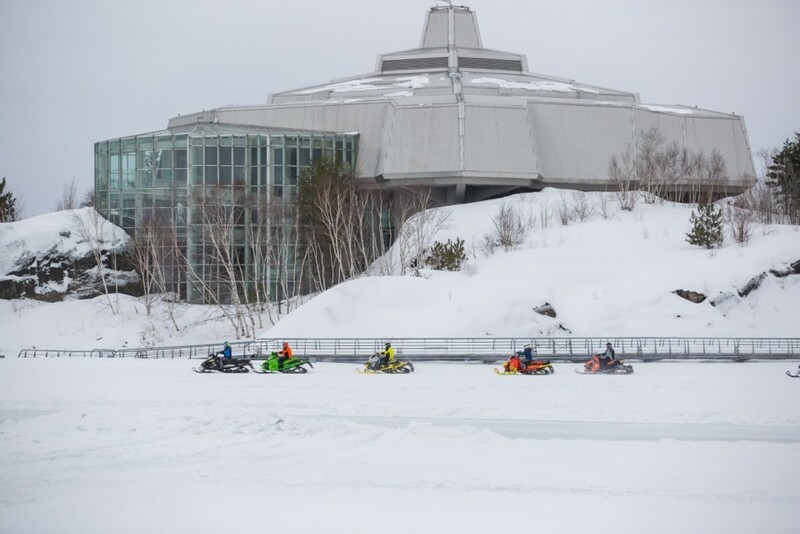 Sudbury is home to some great snowmobile tours. If you really want to find great snowmobiling right into the spring, you need to continue your journey north. Head up Hwy. 144 from Sudbury for about three hours (or Hwy. 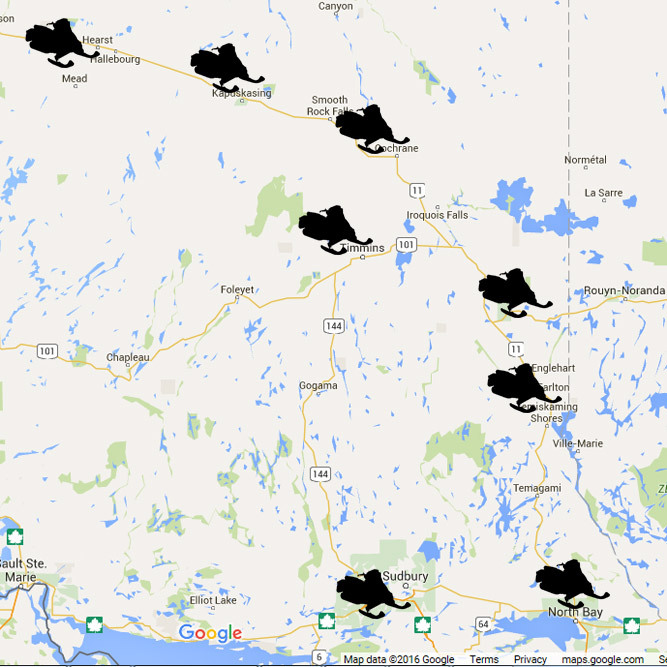 11 from North Bay for four hours) and you’ll reach Timmins. Trust us when we tell you that you won’t hear people in Timmins complaining about light winters. 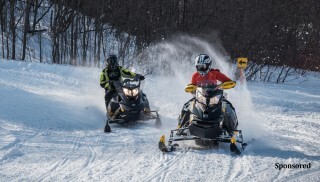 This area boasts 440km of groomed snowmobile trails and a municipal network of Business Area Service Access Routes (BASAR) that allow you to ride to several snowmobile-friendly hotels, motels, restaurants, dealers and gas stations. 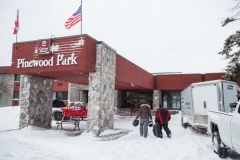 If you really want to treat yourself, book a stay at Cedar Meadows Resort & Spa and take advantage of the on-site restaurant and Nordic baths and get up close and personal with a moose on your tour of the Wilderness Park. 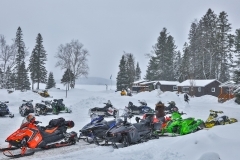 Cedar Meadows Resort & Spa is a welcome resting place for snowmobilers. 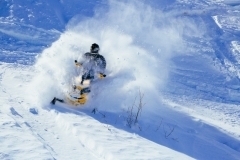 Another option for snow-seekers is to head north up Hwy. 11 from North Bay about 1.5 hours until you reach Temiskaming Shores. 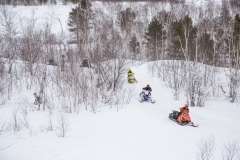 Heck, you could park your truck in North Bay and ride straight up the A trunk trail on your snowmobile if you’re feeling adventurous, as all the trails are open in that area as of the writing of this article. Once you arrive, you need to do the touristy thing and take a selfie with Miss Claybelt the Cow. 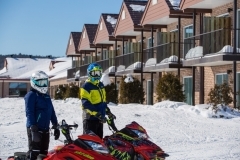 As for accommodations, both the Quality Inn New Liskeard and Waterfront Inn New Liskeard offer access to snowmobile trails. 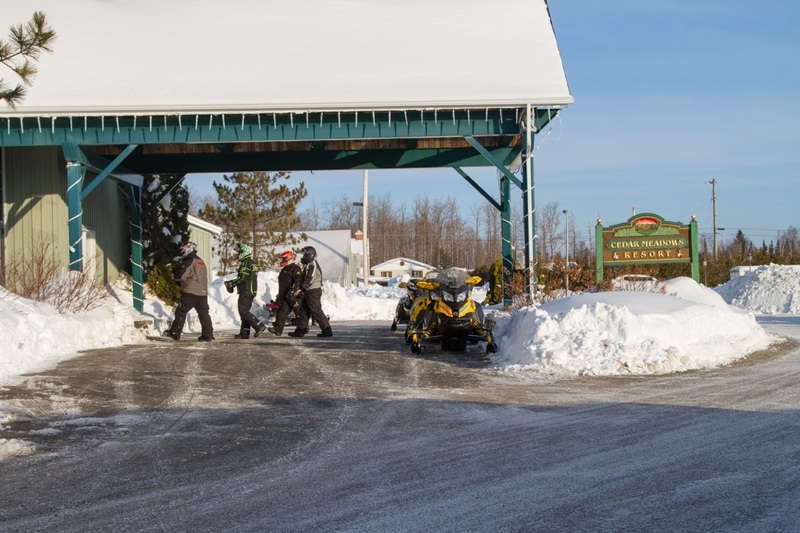 The Waterfront Inn offers spectacular views of Lake Temiskaming and Rooster’s Bar and Grill is located on the premises. The Quality Inn boasts two-bedroom suits with kitchens if you want to save a bit of money and do your own cooking. 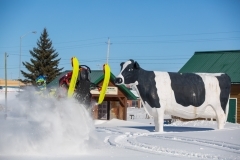 No trip to Temiskaming Shores is complete without paying a visit to Claybelt the Cow. About another hour north up Hwy. 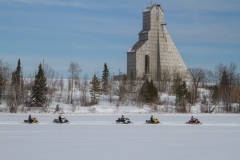 11 is Kirkland Lake, which is easily reachable via snowmobile from Temiskaming Shores on the main A trunk trail. The Comfort Inn offers direct access to the snowmobile trails and a stay here includes a hot breakfast to get you fueled up for the day’s adventure. The brand new Microtel Inn and Suites is another option and also includes WiFi and a free breakfast. If you’d like to learn a bit more about Kirkland Lake’s rich gold mining history, check out the Museum of Northern History. 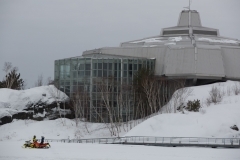 You can also make Kirkland Lake your home base for the popular Gold Rush Tour, which takes you through Temiskaming Shores and Timmins and is a great loop if you want to really see what Northeastern Ontario has to offer. 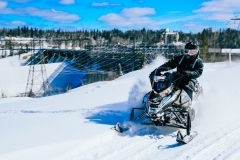 Kirkland Lake is a snowmobile-friendly community to visit on the Gold Rush Tour. For those that really want to extend their snowmobile season as long as possible, we’d suggest continuing north along Hwy.11 as it starts to arc northwest until you hit Cochrane. You’ll still find snowmobiling here while people back in Toronto are walking around in flip flops. For a big thrill, get up close and personal with a polar bear at the Polar Bear Habitat. 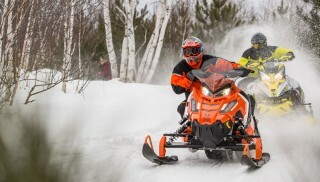 Want to kick your snowmobile trip into high gear? 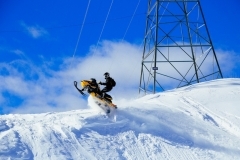 Contact Extreme Tours Cochrane and you can explore the Abitibi Canyon or take part in James Bay Snowmobile Expedition with knowledgeable guides. Cochrane offers outstanding late-season riding opportunities. 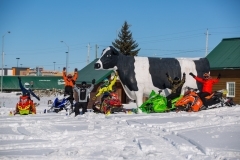 Once you are in Cochrane, why stop now? 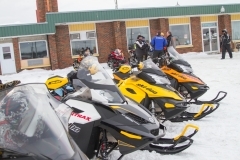 Continue northwest for a short truck ride (or a much more fun snowmobile ride) to Kapuskasing. 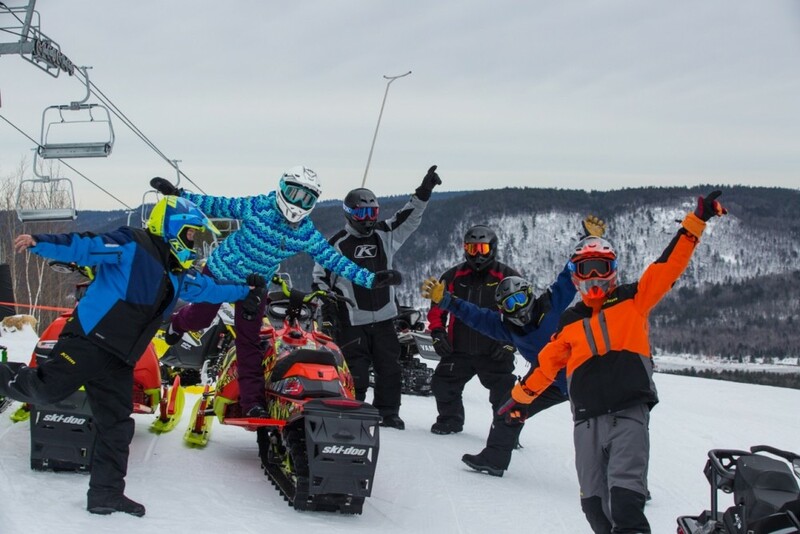 If you are looking to explore well-groomed wide trails and gorgeous scenery with less traffic, then this is the place for you. 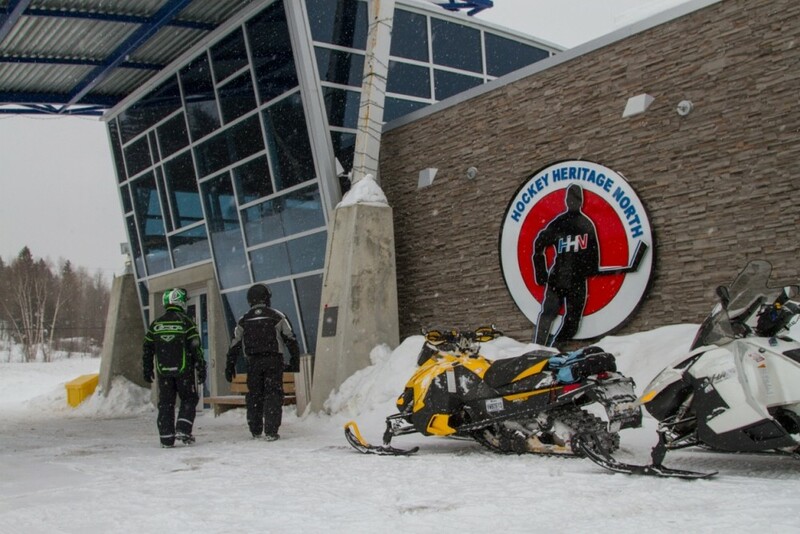 You could easily and comfortably ride your sleds northwest for 100km or so until you reach Hearst. 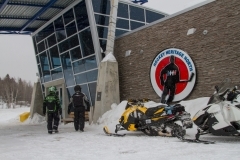 This francophone community is snowmobile friendly with a garage to store you snowmobile, where all hotels, restaurants and shopping are accessible on your sled. Riders can also enjoy the 165 km Missinnabi Expedition Tour. 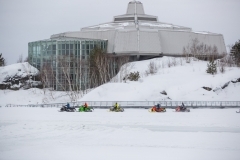 Hearst also offers a different type of over-snow transportation, which you can check out if you visit Evasion Nordik for a dog sleigh experience. 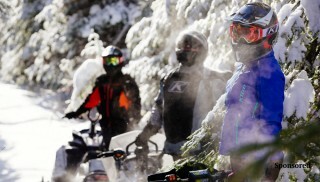 Once you get far enough north, awesome backcountry riding awaits. For a truly memorable late-season snowmobile experience, consider parking your truck in Cochrane and riding your snowmobile to Hearst and back, stopping in Kapuskasing along the way. 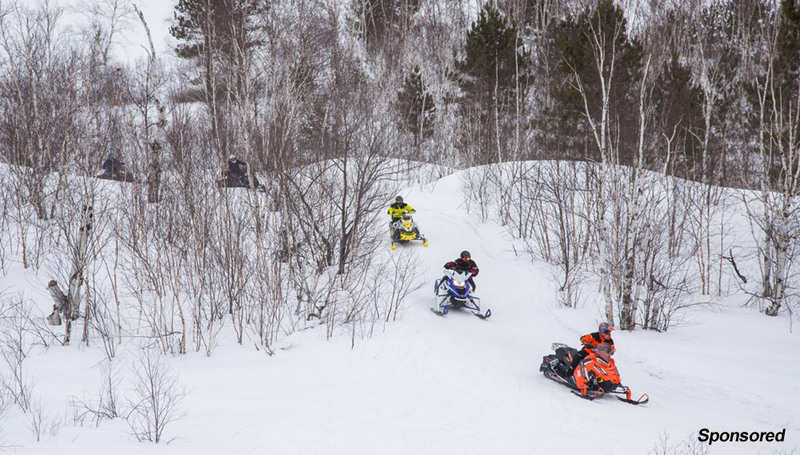 The main A trunk trail goes the whole way, but an assortment of smaller feeder trails will allow you to mix things up and explore the easy access to the wilderness that Northern Ontario so readily provides. Try the Lumberjack Loop on the popular L123 trail; it will take you through four smaller communities by riding along hydro corridors, old logging roads and tree-lined trails. 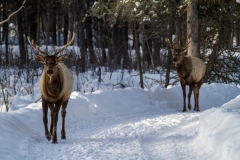 You may even catch glimpses of a lynx, and a moose, and rabbits – oh my!